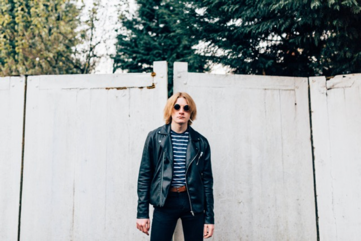 Taken from Rory Wynne’s EP, What would Rory Wynne do?, lead track Star in The Sky is rhythmic, accessible and has a strong steady beat that is sure to get any Indie music fan dancing along this Spring as Rory, a fellow Stockport lad, embarks on neighbouring band Blossoms’ Spring tour starting this month. A catchy melody, sing-along lyrics and a subtle rock influence, vocals are strong and fit perfectly with the current Manchester Indie scene. Heading also for Live at Leeds and Kendal Calling festival later in the year, the audiences are growing and I suspect will continue to do so throughout this year. Exciting times for a more than credible artist. Be sure to catch him live if you can, this is certainly one to watch.